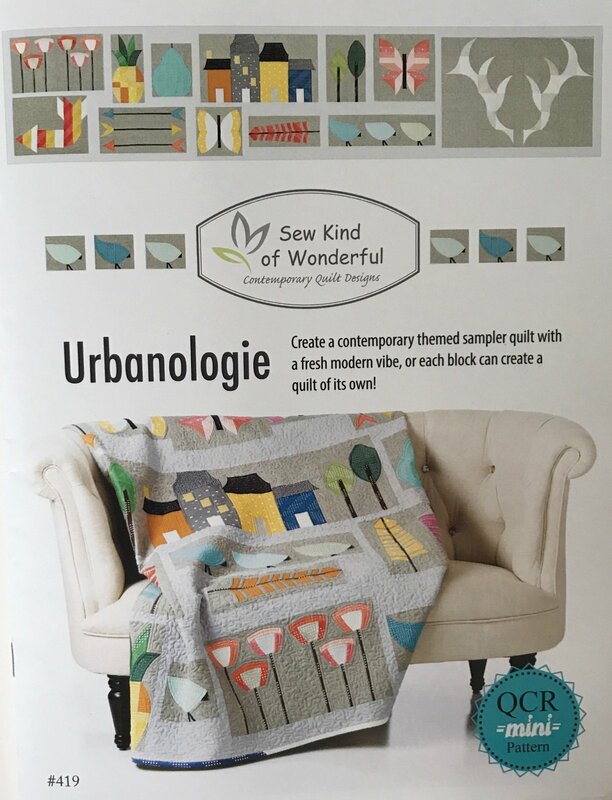 The Urbanologie Quilt pattern/booklet is a contemporary themed sampler quilt with a fresh modern vibe. Each block can create a quilt of its own, or be used in the sampler quilt. The pattern is designed to be used with the QCR Mini (sold separately). Finished Size: Three different layout designs are provided on the back of the booklet (second image) along with general material requirements. The Me+You Indah Batiks would be look great in this contemporary quilt!